You may recall from yesterday that early adopters were having a variety of issues after activating (or attempting to activate) Sprint’s new Google Voice integration feature. Well, a full day has passed, and we’ve had several calls with GV lead Vincent Paquet as well as Brian Smith, Sprint’s director of product development. Both executives have said that their respective companies have been hard at work on resolutions to each of the issues we outlined Thursday night, and some customers we spoke to yesterday are now back online. Jump past the break for a quick summary of what’s been fixed, and what remains on the to-do list. Google and Sprint respond to Google Voice integration issues originally appeared on Engadget on Fri, 06 May 2011 17:10:00 EDT. Please see our terms for use of feeds. It was a long time coming, but when it finally arrived, AMD’s highly anticipated Fusion APU ripped through the laptop market like a bull on steroids. Just this month, the chipmaker announced that the platform made up nearly half its notebook shipments, and no doubt contributed heavily to its $1.61 billion in Q1 revenues. In the past four months, we’ve seen its superior integrated graphics working on a slew of smaller machines, but it seems Fusion wanted more. Back in January, Toshiba announced that it would bring the E-240 APU to a 15.6-inch budget notebook, and just a few weeks later MSI followed suit with its own announcement, saying it planned to put a Zacate E-350 APU, incorporating Radeon HD 6310 graphics, in its CR650. We’ve spent some time with Lenovo’s ThinkPad X120e and HP’s Pavilion dm1z, both sporting 11.6-inch screens and E-350 APUs, but we’ve yet to experience the force of Fusion on a larger device. Naturally, when the opportunity presented itself, we jumped on the chance to find out how a big rig like the CR650 would stack up against its dainty predecessors. Will Fusion’s wonder chip offer the same performance in a $500, 15.6-inch laptop? Or will it fail to bring its beastly force to a big budget machine? Hop on past the break to find out. 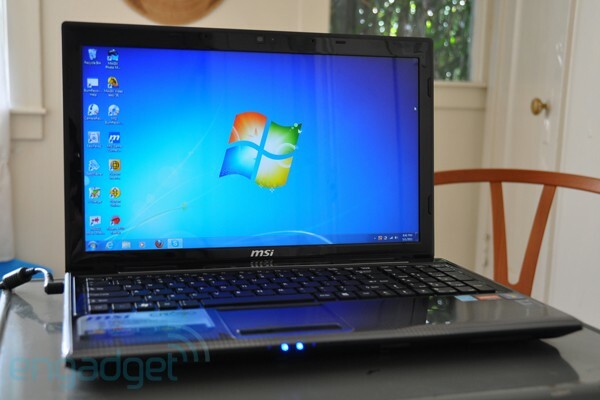 MSI CR650 review originally appeared on Engadget on Fri, 06 May 2011 16:11:00 EDT. Please see our terms for use of feeds. 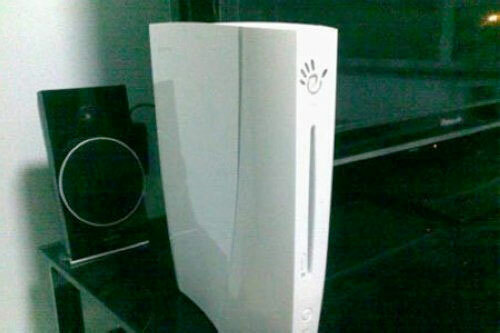 Coverage of Eedoo’s eBox has thus far largely focused on the China-only game console’s similarity to Microsoft’s Kinect. Perhaps seeking to shift in perception, the system this week was reintroduced to the world as the Apple-esque iSec — that’s short for “Sports Entertainment Center,” highlighting its exercise-centric approach to gaming, with martial arts, skateboarding, and good old-fashioned monster fighting titles having already been demoed. The console will also support wireless controllers of some sort, for those sick of all of that pesky exercise. After an initial delay, the iSec is set to hit China at some point in the second half of this year, though the company has no international sales plan — at least until they move one million units domestically. At the moment, the iSec doesn’t have much official competition, since the Wii, Xbox, and PS3 aren’t legally available in China, though we’re told that they’re also not too hard to get your hands on — for those who are still using their hands for stuff. Lenovo-funded eBox gaming console renamed iSec, still can’t shake Kinect comparisons originally appeared on Engadget on Fri, 06 May 2011 15:44:00 EDT. Please see our terms for use of feeds. This entry was posted on May 6, 2011, 5:42 pm and is filed under Mobility. You can follow any responses to this entry through RSS 2.0. Both comments and pings are currently closed.